Inspired by a walk in an orchard, secluded within a walled garden, discover an evocative fragrance of delicate contraststhe crisp skin of the pear against the succulent juiciness beneath, the clarity of the season's first mists, meeting and melding with the warmth of golden dappled sunshine. Experience the surprising, sensuous freshness of sweet pears, wrapped in a bouquet of white freesias, on a subtle background of scrambling wild roses, skin-warming amber, patchouli, and woods. 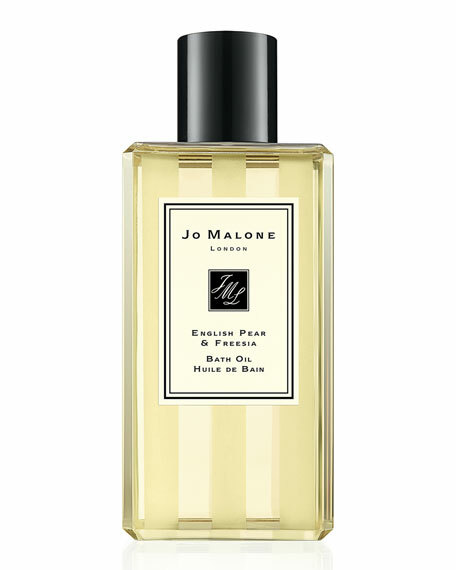 English Pear & Freesia Bath Oil gently fragrances and moisturizes the skin. Lush and softly foaming, it's pure relaxation.